The Rothfels lab outreach all star does it again! 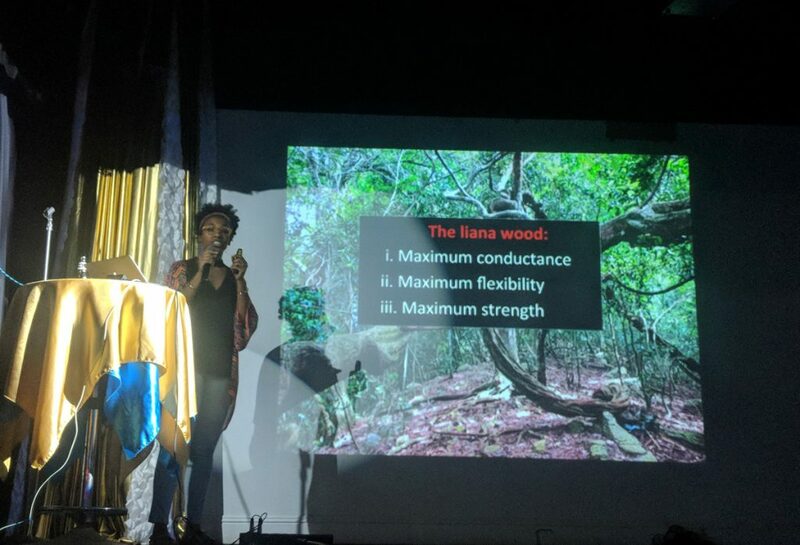 Joyce, bringing the weird world of wood to Nerd Nite East Bay (“be there and be square” — best slogan ever.) I wasn’t able to make it 🙁 , but a few well-placed spies reported back that she did a fantastic job! You might think it would be a tough sell, getting a non-scientific audience excited about the evolution of woody vines, but Joyce made it look easy. Second standing ovation for the month? The spotlight is on liana evolution at Nerd Nite East Bay!